Salmon aren’t particularly hard to hook, but they don’t behave a lot like other fish. There is a simple three step process to hooking them that works 90% of the time. Confirm the bite – that means pause and make sure the fish is chewing your herring. It doesn’t mean wait until the fish swims off or tugs the tip down. Reel with the tip relatively low until you’re rod fully bent over, the drag is slipping and the fish is pulling hard in the other direction. (Optional) Set the hook. Totally not necessary, but some people just can’t resist. Do not use step four with circle hooks. 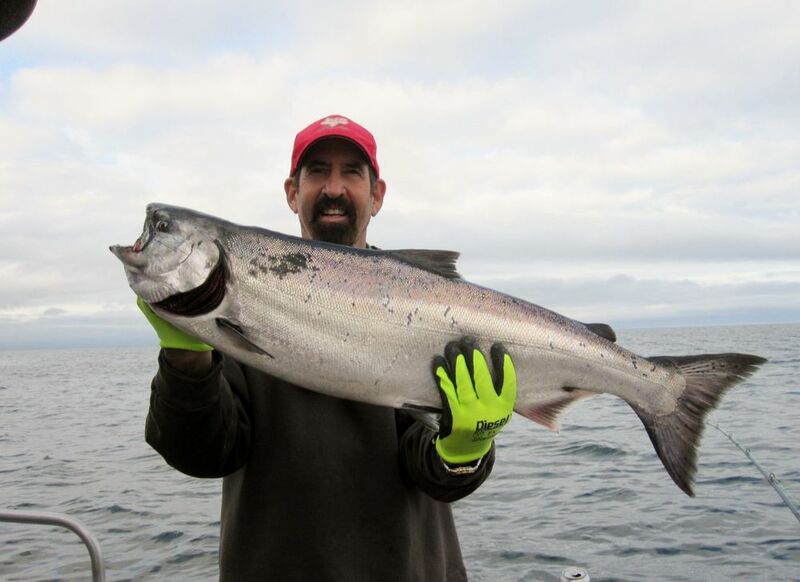 If you follow instructions 1 through 3 religiously, you’re ready to use the right hook for king salmon – the circle hook. With the point of the hook directed back toward the shaft instead of straight up, you’ll hook almost all your kings on the lip or in the hinge. The fish you release survive at high rates, unlike gut hooked and gill hooked which die at high rates. 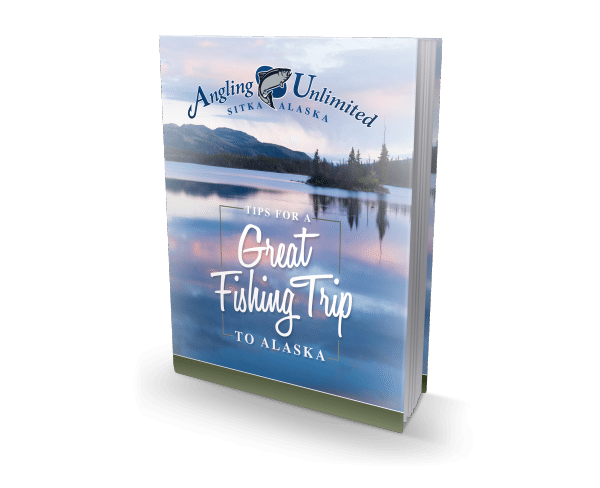 At Angling Unlimited your gut hooked, gill hooked or otherwise mortally injured fish go in the box and count against the bag limit. There is a big difference between catch and release and “high grading”, the practice of fishing for the biggest fish without concern for the condition of the fish you release. We call that kill and release. It’s the behavior or irresponsible angles and guides, and we don’t do it. It’s wasteful, immoral, and destructive. We fish in the present with an eye to the future. 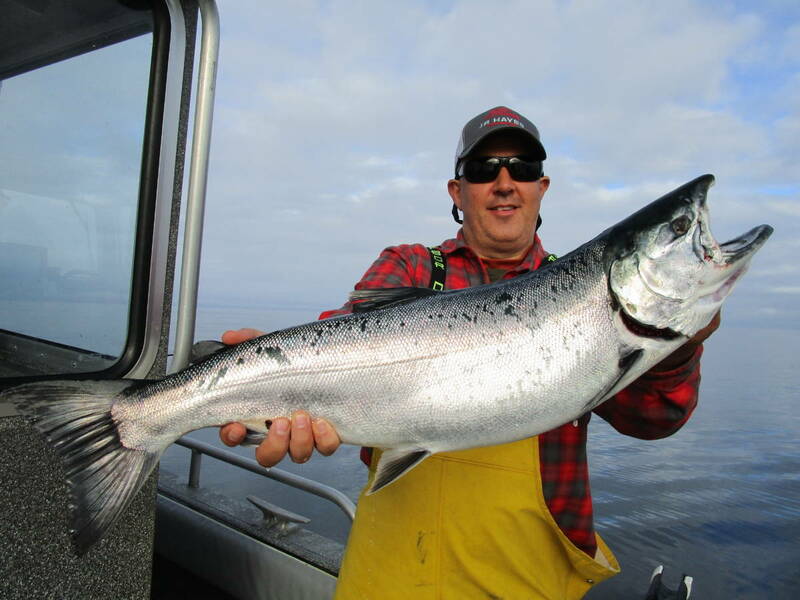 Read more about King Salmon.